Looking for the best way to replace your missing tooth? Dental implants are the gold standard solution in teeth replacement. They can mimic the function, feel and look of your natural tooth better than any other restorative dental treatment available. At Seneca Family Dentistry, we proudly provide complete implant dentistry in the comfort of our Wichita office. We love helping patients discover the remarkable benefits of dental implants, which range from better tooth stability and more dietary freedom to bone loss prevention and improved convenience. Dental implants can be used to replace a single missing tooth or a full arch of teeth. By securing your dentures to dental implants, you can avoid denture slipping, messy adhesive creams and other disruptions. 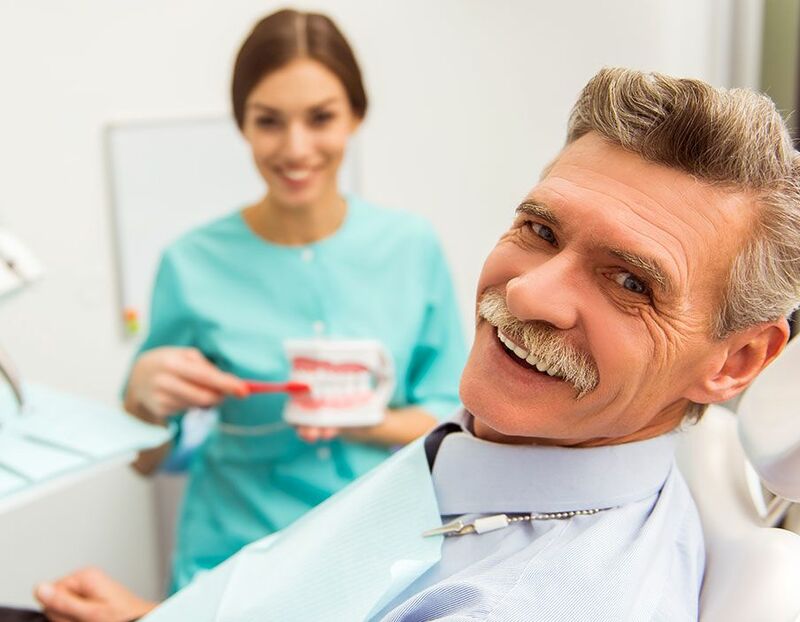 Dental implants provide the unique ability to replace both your tooth and your tooth root, which gives patients the opportunity to have the most long-term smile stability. A titanium biocompatible post is surgically placed into the jawbone. After a period of time, the implant fuses to the bone during a process called osseointegration. This provides an artificial tooth root that can now properly stimulate your jawbone. Without stimulation, your bone can atrophy over time. This can cause premature facial aging in patients that do not replace their missing teeth with dental implants. 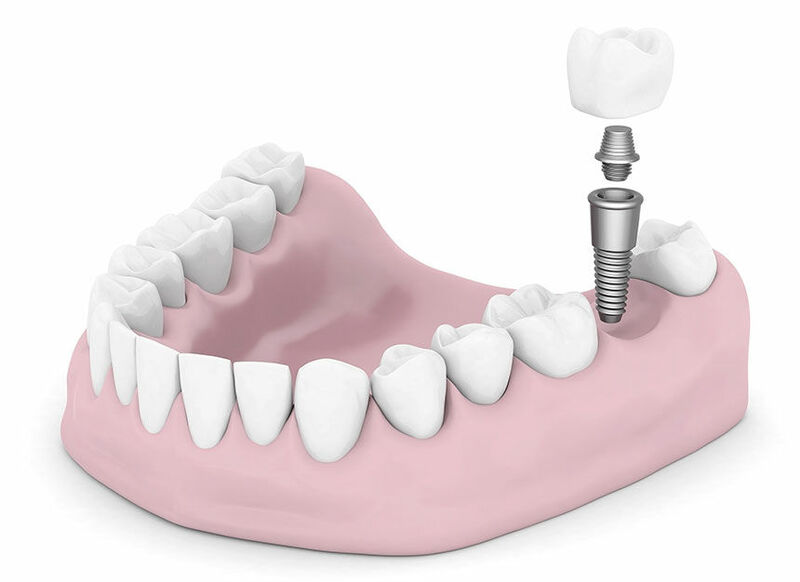 Dental implants include an abutment that can be topped with a dental crown, partial or denture depending on your specific case. Our ability to provide complete implant dentistry in the comfort of our Wichita office gives patients highlighted convenience and superior results. We also use 3D Cone Beam technology when replacing your missing teeth to ensure patients have access to the most superior methods in modern dentistry. At Seneca Family Dentistry, we can handle your dental implants from start to finish. We deliver streamlined, patient-centered care that respects your comfort at every step. Dr. Tanaka is highly qualified when it comes to placing dental implants and implant restorations. With the use of our state-of-the-art 3D Cone Beam imaging, your dental implant will be placed with the highest level of accuracy and precision. Dental implants carry an exceptional success rate. However, they are reserved for healthy patients that have adequate bone density and optimal oral health. To find out if you are a candidate for dental implants, please contact us today to schedule a consultation with Dr. Tanaka at Seneca Family Dentistry. Your smile deserves the best, and dental implants are undoubtedly the top-ranked solution for replacing missing teeth.